Jessying - Malaysia Beauty Blog - Skin Care reviews, Make Up reviews and latest beauty news in town! : Launch of i1holiday an integrated Hotel and Holiday comparison website! Launch of i1holiday an integrated Hotel and Holiday comparison website! And recently I was invited to i1Holiday.com launch, an integrated Hotel and Holiday comparison website by World Cloud Ventures Sdn Bhd. It compares hotel rates from across all other hotel booking website to bring you the best deals. The website will continue to evolve in bringing the best deals in travel and hotel rates. It works somewhat like a search engine of sorts, where it pulls search results from various hotel and holiday websites such as Agoda, Booking, Expedia and more. i1holiday then lists the best deals and forwards users to the corresponding website to make their purchases and bookings when they click on the link. As of now, i1holiday is web-based and mobile friendly. There is a mobile app for iOS and Android in the works, and by Q4, i1holiday have plans to offer travel package comparisons as well. 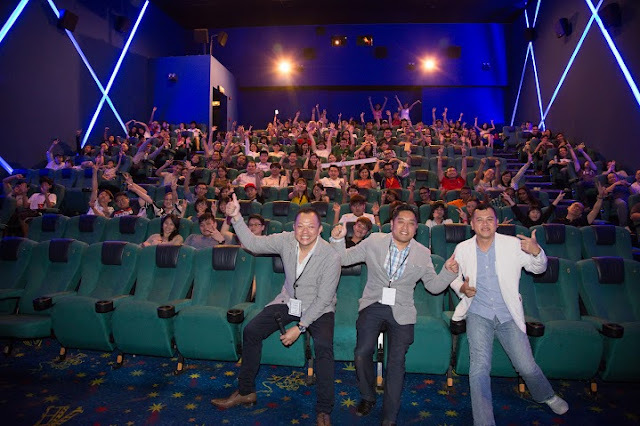 i1holiday launch its Cinema Ad in GSC cinema which can be seen at Midvalley, Pavilion and Gurney Plaza. They have also invited 30 kids from Angel House charity home during the Cinema Ad launch coincide with the premier of Independence Day. As usual, my travel style is free & easy, I only have booked first night for my coming Hanoi trip, so I shall hunt for hotels deals later on at http://i1holiday.com/ later on... hope I can find some nice hotel deals!